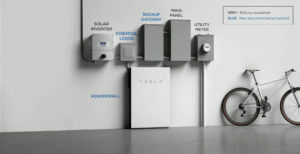 Home › Features › Where will the used EV batteries go? An electric future for cars is certain, but what happens to the batteries at the end of their useful life? Vicky Parrott investigates. Electric cars are The Future. We all know it. Be it plug-in hybrid or pure electric, sales of those cars eligible for the government plug-in car grant (EVs) are up 27 per cent year-on-year in the UK according to the Society of Motor Manufacturers and Traders, with 26,482 registered in the first half of 2018. This seems like a win for the environment, no doubt. But there is an often-overlooked ecological burden associated with adopting them: the batteries. The UK government intends for all new cars and vans to be electrified in some way by 2040. Assuming the UK new car market remains as buoyant as it is now, that equates to as many as 2.5 million new cars ñ and battery packs ñ each year, all of which will need to be recycled or re-used. These batteries typically have a life cycle of around 8 to 10 years, so what do we do with them when they reach the point that they need to be re-used or recycled? Well, one popular solution is to re-use them as power storage for domestic and commercial buildings. 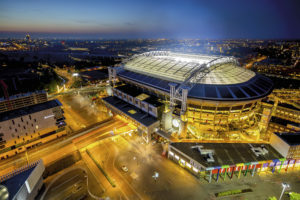 Nissan recently launched the largest power storage facility in Europe to use both new and used car batteries; the Johann Cruijff ArenA in Amsterdam uses 63 second-hand electric vehicle battery packs and 85 brand new battery packs, which feed off of 4,200 solar panels on the stadium roof. This doesnít mean that the stadium is ëoff gridí, although it is capable of powering the entire venue during an event for up to an hour (the equivalent of providing energy for 700,000 domestic homes) if necessary. Rather, Nissanís battery-powered energy storage system acts as a generator that can back up the stadiumís energy supply during times of heavy power usage, reducing the strain on the grid at peak times. 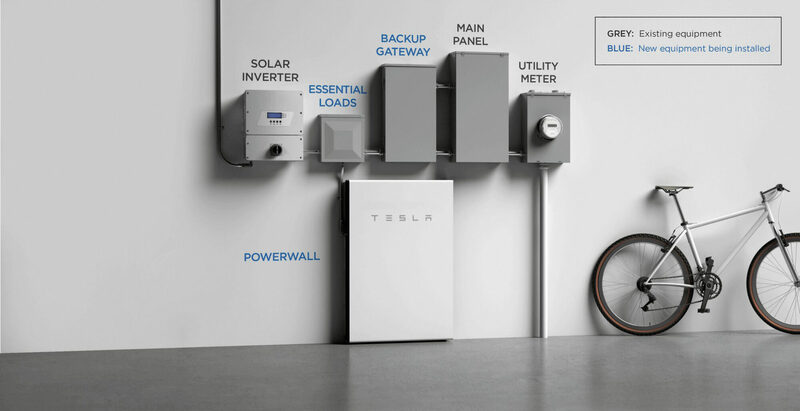 Nissan also offers an off-the-shelf home or commercial energy storage unit called xStorage; a rival to Teslaís Powerwall 2 system, although Nissan’s is different in that you can choose to have used or new electric vehicle batteries. There’s an appealing circuitousness to the situation, if used electric car batteries can provide a home energy solution to solve the potential issue of increased car charging putting too much strain on the power grid at certain times. Even so, energy storage is far from a one-shot solution for the used EV battery issue. Some donít think itís a solution at all. Transport applications require a highly energy dense battery to provide the necessary range from a comparably small battery. To achieve that small, but powerful, combination requires fairly large quantities of Cobalt in Lithium-ion batteries for cars, but energy storage units in buildings donít need to be so compact and lightweight. Cobalt production is a critical issue in battery production. Much of it is sourced from the Democratic Republic of Congo, where the mining process raises serious ethical and human rights concerns, so reducing dependency on it as demand for batteries rise is one of the greatest challenges. Mercedes-Benz would agree. The German manufacturer launched a home energy storage system using batteries from its range of EVs in April 2017, but the product was axed only a year later, with the company claiming that ìitís not necessary to have a car battery at home: They donít move, they donít freeze, itís overdesigned.î So, for Mercedes-Benz at least, the costs didnít add up. Another significant consideration for EV batteries is the recycling process. Belgium-based company, Umicore, is one of the businesses already offering recycling for Lithium-ion batteries. It reclaims the valuable metals using a combination of pyro-metallurgy and hydro-metallurgy, and while the company currently runs a pilot plant, it can still recycle around 35,000 EV batteries per year. According to a company spokesperson, Umicore ìcan easily scale up its recycling activities when the market grows, which we expect to happen in 2025.î Even better ñ metals are infinitely recyclable, so they can be reclaimed from used batteries and used to produce new batteries that are as good as any other. Another consideration is the changing battery technology. One big hope for the future is solid state batteries, which use a solid electrolyte (the chemical mixture that allows and regulates the flow of current), which promises to make the batteries safer and able to provide more energy than todayís batteries. Toyota, BMW and Dyson are amongst the significant players who have stated a clear intent to be using solid state batteries in the near future. But what about the recyclability of these batteries? Ultimately, if the appalling environmental implications of putting batteries into landfill werenít persuasive enough, the other cold truth is that the metals they contain ñ be it Lithium-ion or solid state ñ are far too valuable for us to waste. So, while there may be many and varied answers to the question of ìwhere will the used EV batteries go?î, ecological and economic good reason are unanimous on one thing: we should not be allowing them to be put into the ground.